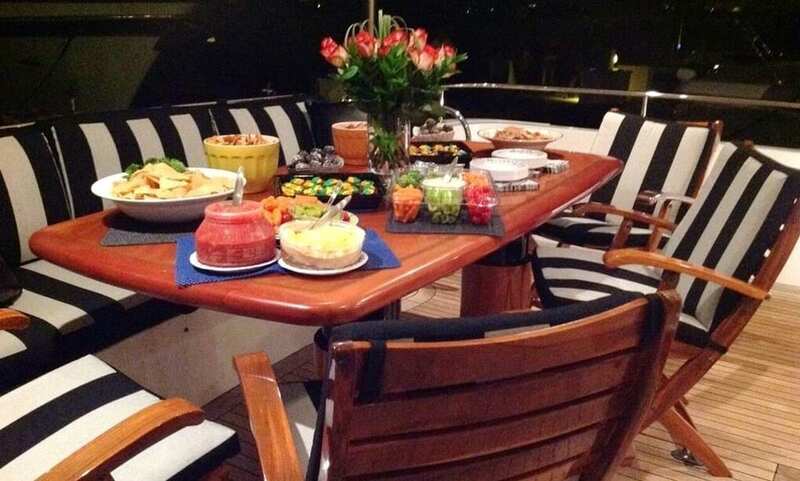 Cabo yacht rental on a beautiful 68′ Queenship luxury yacht. The 68′ is one of the best values in yachting in all of Cabo San Lucas. This yacht has all of the toys including kayaks, paddle boards and snorkel gear for a great day in the Cabo sun. A staff of 3 will cater to your every need while you enjoy cruising the coast and cranking the tunes on this fun vessel. 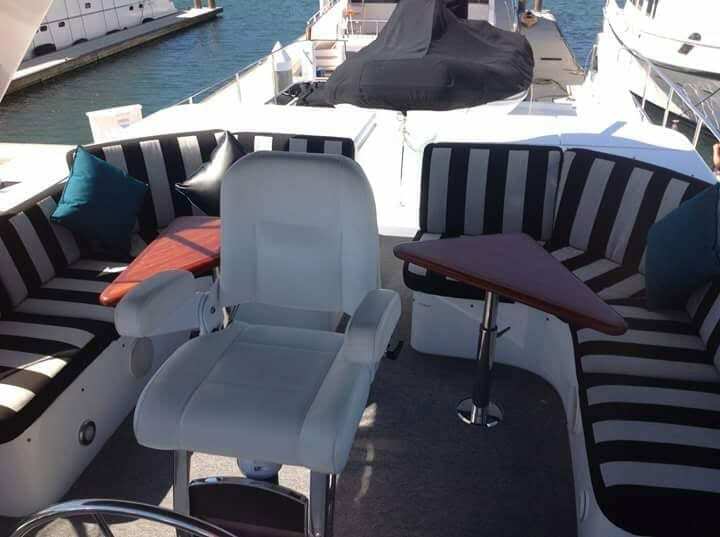 This yacht also has some great fishing gear and will soon be fitted with a custom fighting chair for even better fishing action With plenty of room for up to 12 guests, you will not find a better rate for such a beautiful vessel. 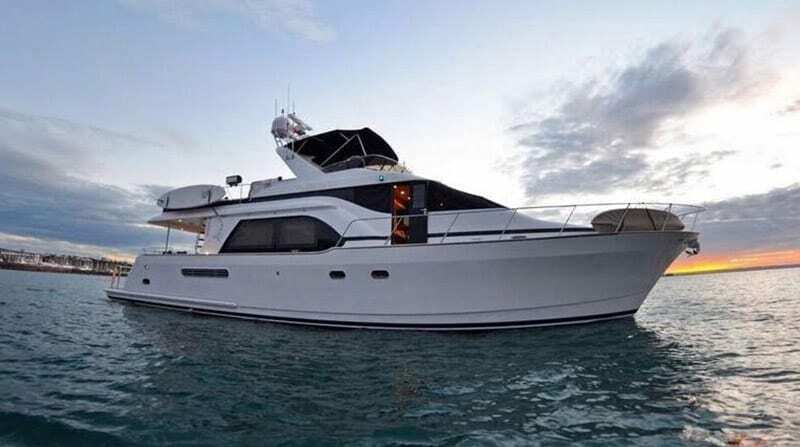 This yacht is perfect for a great day on the water in and around Cabo San Lucas. Overnight accommodations are available! This beauty is available for a yacht charter in Cabo San Lucas. Enjoy your private charter within the bay or just outside the breakwater. 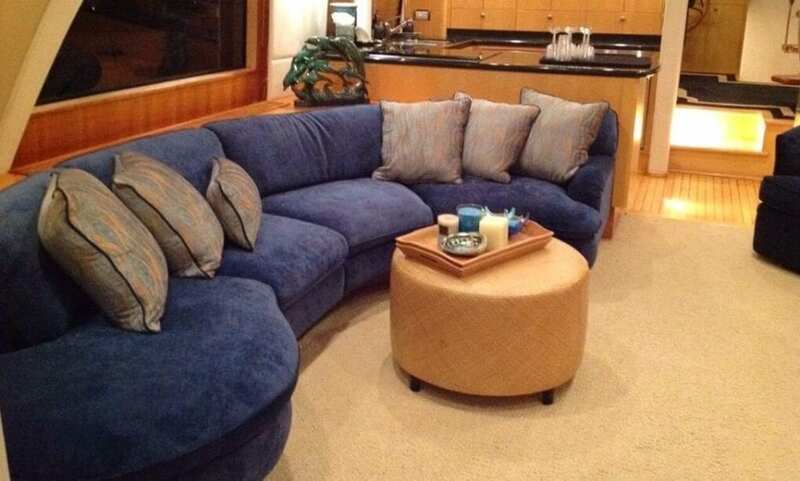 She is also available to yacht charter along the coast of Cabo San Lucas. 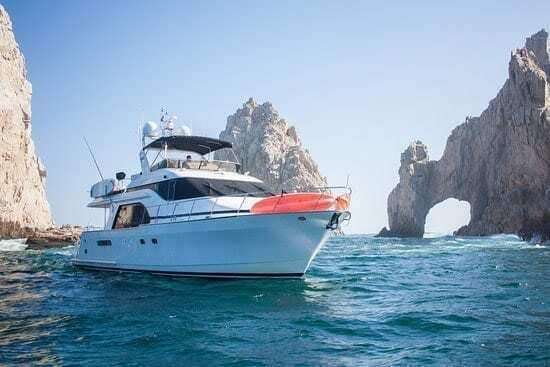 Enjoy the water on this Cabo yacht rentals along the coast of Cabo San Lucas. Travel up the coast to San Diego or cruise out and do some deep sea fishing! First of all, yachting in Cabo is a top thing to do anywhere and especially here. Because nothing beats private yachts charter in Cabo. The unique climate allows for a year around boating season. It’s what makes Cabo luxury yacht charter so enjoyable. Enjoy the crystal clear tropical ocean. The beautiful harbor and marina, beaches, bay, and lagoons. While Cabo San Lucas offers celebrity’s water front residences and sand bars, that’s not all. She probably offers on of the most stunning skylines which are awesome for even a short Cabo luxury yacht charter. Visit a private island with loved one, snorkel at a coral reef. Plan your getaway with one of our private yacht charter itineraries or just board a water front sports bar to chill out. Another thing you could do is take a minute to review Luxury Liners’ itineraries and destinations. Those pages have our yacht rental locations and details of your trips. Because we probably have already found the best ideas for your yacht charter! Due to the great weather Cabo is a great place to rent a yacht. Furthermore, let Luxury Liners find your captained Cabo luxury yacht charter so you may experience your own private charter. To charter a yacht in Cabo, or for a luxury yacht Cabo San Lucas style, simply choose among our collection of Cabo yacht rentals. Luxury Liners works hard to find you the best of the best, highest quality boat rentals in the Cabo area. Luxury Liners offers yacht charters in Cabo San Lucas at the best prices.